Samsung Electronics invited the Galaxy Stars, top performed sales forces around the world, to its Korean offices for three days to celebrate and encourage their outstanding performance. Held from January 21st to 23rd in Seoul and at the company’s headquarters in Suwon, Galaxy Stars Festa was created to recognize exceptional smartphone sales professionals of Samsung’s global retail partners. Each participant was selected based on his or her device sales performance, product knowledge, and customer service skills among the tens of thousands sales forces around the world. More than 270 employees from sales points in 45 countries were offered to enjoy the series of experiential and inspirational programs. 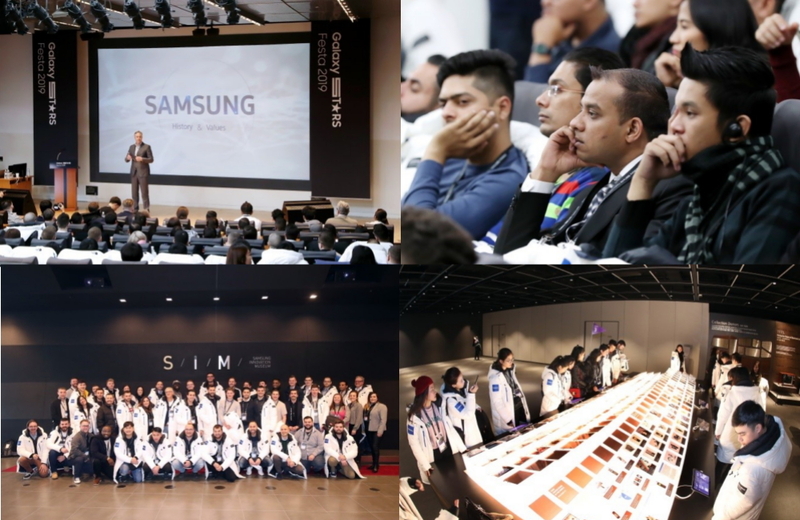 After touching down in Korea, participants received an exclusive tour of the Samsung Innovation Museum in Suwon, which offered an in-depth look at the company’s history and core values, and took part in fun and enlightening workshops. “I felt very proud of my work when I visited Samsung Electronics and learned about Samsung’s history as I discovered new things that I had never known” said Harry Acosta from the U.S. In addition to taking part in private tours of Samsung facilities and training sessions, the Galaxy Stars were the guests of honor at a gala dinner attended by DJ Koh, the company’s President and CEO, IT & Mobile Communications Division. During the dinner, Mr. Koh expressed his deep gratitude and emphasized the vital role that field forces have played by serving as a direct touch points between the company and its customers. “With your strong support and commitment, the Galaxy devices and services have been succeeded in the market and appreciated by our customers. I deeply appreciate your efforts to deliver the product value to the customers” said DJ Koh. Samsung Electronics will continue to host ‘Galaxy Stars’ program to make the sales professionals proud of the Galaxy brand so that they can engage with customers more enthusiastically.